A sublime combination. Your favorite cream-filled sandwich cookies enrobed in luxurious chocolate. 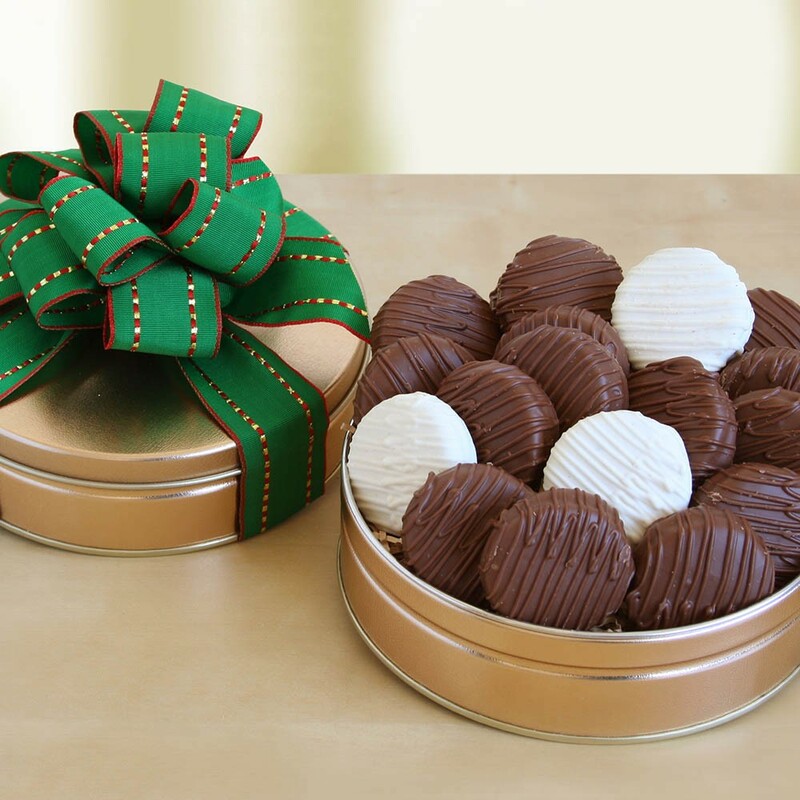 This popular gift contains 18 delectable cookies tucked into a decorative tin.